Here in Arlington, our dental team doesn't just want to treat your oral health problems – we also want to provide you with the education and skilled attention that keeps those problems from happening in the first place. That's why we put such a big emphasis on preventive care, including regular check-ups, hygiene appointments, screenings, and much more. With the help of these vital visits, we can get rid of any plaque or tartar that could lead to damage and also create individualized treatment plans to quickly and effectively deal with any issues we find. And even better, removing the build-up will freshen your breather and make your teeth sparkle. These crucial visits allow Dr. Baldwin to closely inspect your mouth, gums, jaw, and other aspects of your oral health.This way, he and the rest of our team can determine if there are any problems or damage that need attention. 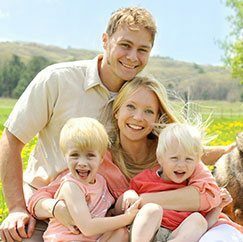 Once he has a complete picture of your unique needs, he can create a customized treatment plan that helps you regain your healthy smile as quickly and effectively as possible. Additionally, an in-depth cleaning will get rid of any plaque deposits and leave your teeth feeling polished. Patients with prosthetics can also come in once a year at no charge in order to have their appliance checked and undergo an oral cancer screening. While not as well known as cavities and gum disease, oral cancer is a serious condition that can have grave effects. Thankfully, it can be successfully treated as long as it's caught early enough. That's why Dr. Balwin makes oral cancer screenings a priority when it comes to preventive care here at Foundation Dental Solutions. At least once a year, we can carefully scan your mouth for any signs of cancerous cells, as well as provide further attention and instruction if something catches our eye. Helping you maintain a full, healthy smile for life is Dr. Baldwin's priority, and a big part of accomplishing this is providing treatment options that are as conservative and minimally invasive as possible. Our team specializes in techniques that preserve tooth structure without overusing uncomfortable drills or other intrusive methods, and the removal of any part of a tooth's structure is kept to the barest minimum while we restore it to its ideal state. This can be done thanks to the latest scientific advances in the dental field! Dental damage happens to the best of us, and it's nothing to be ashamed of. Instead, trust Dr. Baldwin and the rest of our dedicated staff to treat your problem quickly and effectively. We offer a wide variety of restorative services, including high-quality, customized dental implants, crowns, bridges, inlays, onlays, removable prosthetics, implant-retained prosthetics, and much more. 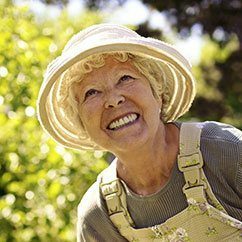 Issues like chips, cracks, and missing teeth can lead to discomfort, embarrassment, and future oral health problems over time if left untreated; call today so we can help you achieve the revitalized smile you deserve as soon as possible. 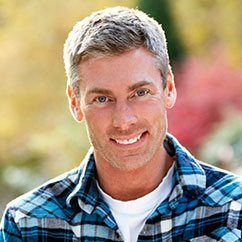 At Foundation Dental Solutions, Dr. Baldwin believes in treating you, his patient, with the latest tools and techniques so that your experience is always exceptional. These include digital X-rays, which provide unparalleled speed, convenience, and a significantly lower dosage of radiation when compared to traditional methods. The precise, detailed pictures of your mouth we take are instantly available on a chairside monitor, and they can be color-coded, rotated, and magnified for patient education purposes if needed. Here in our Arlington, TX office, we’re happy to provide free 3D digital X-rays for patients undergoing a complementary consultation. Your health and happiness are always our top priorities! Extraction doesn’t have to be the only option when you’re struggling with a tooth that’s severely decayed or damaged. During root canal therapy, Dr. Baldwin can access the inner chamber of the affected tooth, thoroughly cleaning out the diseased pulp and sealing the area in order to reduce the risk of further infection. Our Arlington team can also create and place a quality, lifelike dental crown to replenish any lost enamel structure. As long as they’re cared for properly with regular at-home hygiene and consistent check-ups, many teeth treated with root canal therapy can go on to last for the rest of a patient’s life. In the past, patients who suffered from a cavity had to be treated with noticeable, silver-colored fillings that marred otherwise perfectly natural smiles. We’re happy to offer tooth-colored fillings as an alternative that combines the same, revitalizing effects with cosmetic quality. Dr. Baldwin can shade your new filling so that it matches the natural color of your smile, allowing it to blend in seamlessly when placed. Additionally, tooth-colored fillings allow for more conservative treatment (meaning that we safely preserve as much of your natural tooth structure as possible) and less sensitivity to hot and cold temperatures. Have you dreamed of achieving a smile that’s not only healthy, but beautiful to look at as well? This goal is understandable – after all, studies show that people with white, straight smiles are considered more successful, more attractive, and even younger. Dr. Baldwin is happy to offer several cosmetic dentistry treatment options that can get rid of persistent flaws and leave you with a look that’s simply dazzling. 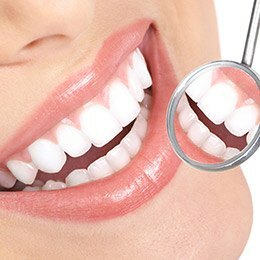 Teeth whitening, veneers, Invisalign, and more are available! At Foundation Dental Solutions, we believe in providing care that’s always as precise, as personalized, and as enjoyable as possible. We want to rebuild your smile and make it shine so that you can finally enjoy the oral health and happiness you deserve. Take a look at our other services here, or contact our office today to schedule a free initial consultation. Our office is located in Arlington, TX, and we’re happy also to welcome patients from Fort Worth, Grand Prairie, Mansfield, and beyond.